Life satisfaction is not about what I can get but on what I can give. 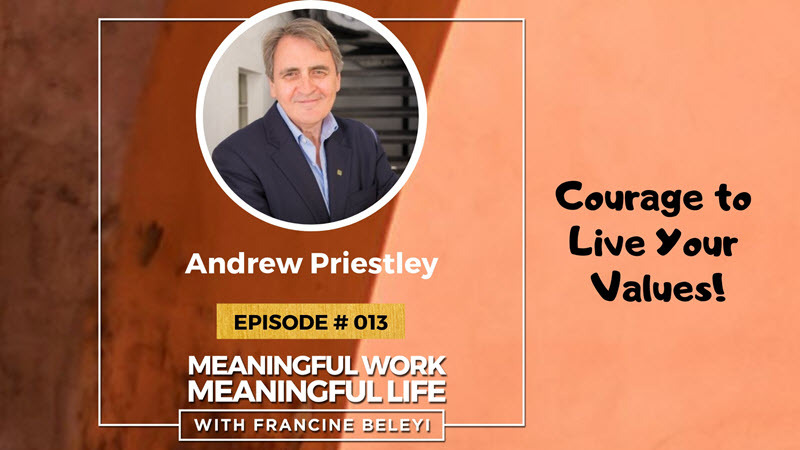 Today I have the great privilege to discuss with Andrew Priestley, business leadership coach, entrepreneur, business strategist, speaker, author & publisher. Andrew specialised in helping people build character, professional happiness and fulfilment. He tells me how he transitioned from being a teacher to become a peak performance coach and the bumpy journey it took to get there. As a psychologist he explains the Science of Well-being and what really make us happy and shares how he became comfortable in his own in skin in his forties. Want to recommend guests to this show? Please suggest amazing people you’d like to hear from, and I’ll do my best to interview them.